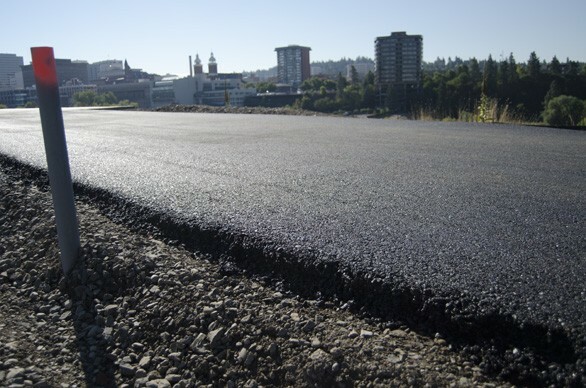 Work crews paved a long stretch of the Centennial Trail in Kendall Yards this weekend, making significant progress toward completing that “gap” between downtown Spokane and the West Central neighborhood. 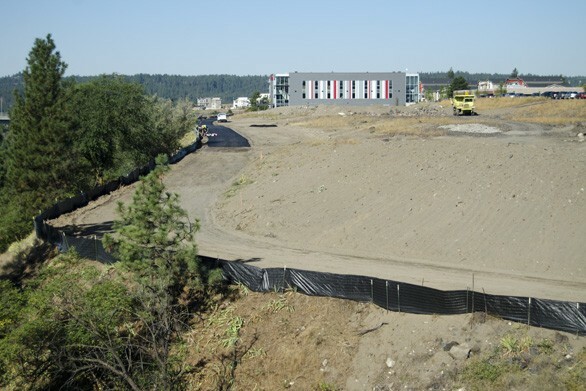 Here at Inlander HQ our back windows overlook the trail, so we’ve been watching the progress the past few weeks as trucks have rumbled by spreading water and rolling a path through the dirt. The trail is now paved all along the north side of the river until the point where it dips to go under the Monroe Street Bridge. As of Monday morning, not all the curb transitions are finished where the trail intersects with neighborhood roads, so bicyclists will need to wait a little longer for a smooth, unbroken ride. This portion of the trail, technically Mile 23-24, is expected to be a heavily traveled route for both recreation and commuting.